An interview has a great significance in the job seeking process. It is an interview where you make the first impression on the minds of the recruiter. If you manage to impress the recruiter during the interview, you bag a job and a lifetime of security. 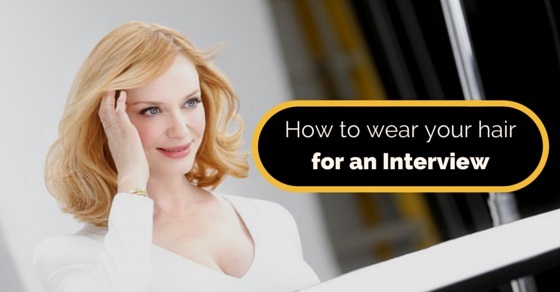 Individuals who appear for an interview always make sure that they prepare well and are thorough with their subject. The things they tend to neglect, the finer aspects of grooming and dressing, are what later decides their fate and career. Hair styling has to be done with extreme care so that the individual looks truly serious about the interview. The hairstyle for a candidate can differ based on their gender. The hairstyles for different professions for men and women vary greatly. Here we have listed the important aspects of different hairstyles for different genders and for different professions. Men who work in the professional fields cannot afford to have a casual haircut. The need to make sure that they have their hair well trimmed and perfectly groomed. There are many diverse hairstyles of men to select from. The short hairstyles are preferred by men when they have to work in professional work environments. Even there men have multiple choices like the cool short and messy undercut hairstyle like David Beckham or the very short buzz haircut like Chris Evans. Hairdo should be selected to match the shape of your face and your complexion. You can cast an instant spell on your employer if you have that mesmerizing hairdo the boss likes. If men have multiple choices in haircuts, the variations in hairstyles among women are much wider than you can imagine. The advantage that women have over men is that they can grow their hair and yet look professional to their employer. You have multiple options when you have long hair and you plan to style it to give you the perfect professional look. Apart from the common bob cut, step cut, layer cut and boy cut that women commonly opt for as a hairstyle to suit their face shape, there are multitude of other options available for women. The textured pony and the smooth long bob are the common fads of the working women today. The serious pixie and the side pony are other hairstyles you may try out while working in a professional environment. The hairstyle variations clearly depend on the gender of the individual and in most conservative nations men find few options in hairstyles. This is however dependent on the nature of your job. A creative person is often excused when it comes to hairdo and grooming. People working in creative work environments usually have greater options when it comes to dressing and hairstyling. If you are working as a fashion designer, make-up artist, writer in creative media, graphic designer or interior designer, you may have a casual hairdo and yet be called a professional. These are professions where you can commonly see men with spikes and long hair. Women often choose to have odd hair colours like blue, green or pink to add to their persona. What to keep in mind while selecting your professional hairstyle? There are several aspects that you need to consider before you opt for the perfect hairstyle to go with your office environment. Here we have listed a couple of the major factors that you may take into account. A hairstyle decides not just the way you look but also the attitude you throw. You need to select a hairstyle that clearly reveals your attitude. Boy cut suits women with a bold attitude and the willingness to conquer the world. Long wavy hair looks great on mature faces. In case of men, long hair looks good on men who are proud and artistic while short spiky hair looks better on men who have a casual approach towards their life and job. Face shape also greatly decides the hairstyle you must pick. There are some really cool options in bob cut and layer cut for women with long faces. Wavy or curly hair would look great on women with chubby faces. Men can opt for short hair cuts if they have long faces but may choose to grow their hair if they have chubby or huge faces. The modern hairdos don’t mean just hair styling but also hair colouring and maintenance. Picking the right colour and style combination that goes best with your face complexion will make you look much more attractive. Usually blonde and bright red hair colour goes well with a fair complexion while funky blue, green and purple match well with a dark complexion. You must also consider your hair type when you pick a hair colour. You must also take into account your designation in the given organization when you are selecting a hairstyle. Some hairstyles naturally look very casual. Men who are heading organizations should avoid crazy spikes or undo hair as it can look very casual and no one will take you seriously. Some hairstyles don’t go well with certain attires and you need to keep this fact in mind while selecting your hairdo. If you are planning to wear a typical traditional Indian Salwar Kameez or Sari, a boy cut may not go with it. There are women who select short hairstyles but they have sleeveless blouse to convey their modern inclination. If you are planning to pleat your hair, wearing a modern short skirt or trousers would really not look good. You need to strictly avoid these odd combinations. In modern professional world, the looks of an individual can have a great impact on the way a person is treated in an organization. If you wish to succeed in your job, you need to make sure you have a perfect personality. Hair matters a lot and so you need to make sure you take proper care of your hair. There are many steps that need to be taken to maintain hair health. Here we have listed out a couple of steps that will help men as well as women maintain their hair health. Oiling of hair is vital if you wish to maintain hair health. Regular oiling of hair as well as the scalp helps your hair stay perfectly moisturised. This is essential if you wish to have shiny and beautiful hair. There are many options among oils that you may use on your hair. Coconut oil, almond oil and sesame oil are some of the most commonly used oils in our country. Shampoos developed from natural extracts of plants and herbs help your hair to get the proper nourishment. It helps to cleanse your hair of dust and foreign substances without exposing to harmful chemicals. If you have an option, always choose herbal alternatives in shampoos. Conditioners are usually used to improve the texture of the hair. They are used after the hair is shampooed and cleansed off all its filth and foreign particles. It is always better to use natural conditioners like egg white over chemical compounds that are known to harm your hair in the long run. If you visit a hair specialist, he will suggest you several serums that help to maintain hair health. You may check out the global retailers of hair care products. They have many herbal alternatives that help you maintain your hair well. Hair styling gel helps you have a classy look. Especially for men and women with short hair, the gel helps to set the hair properly. Frequent use of chemical gels may harm your hair and you need to check out if there are herbal alternatives even in these. You need to visit the hair specialist at regular intervals and get your hair treated for problems like dandruff, split ends, rough hair, dry hair and hair fall. You have to pay a price for maintaining the professional look.